According to the latest Australian Institute of Health and Welfare Child Protection Australia 2016– 17 report, the number of children receiving child protection services continues to rise. Around 168,000 children received child protection services in 2016-2017 which equates to one in every 32 children. Aboriginal and Torres Strait Islander children were seven times more likely to receive child protection services than non-Indigenous children. The report also highlights that the majority of children in the child protection system are repeat clients. The National Association for Prevention of Child Abuse and Neglect (NAPCAN) invites us all to get involved with National Child Protection Week this week and play a part in creating safe and nurturing environments for all Australian children. Held annually, and commencing on Father’s Day each September, National Child Protection Week (Sunday 2 – Saturday 8 September this year) reminds us that we all have a role in protecting children from harm. By building stronger communities, we can create safer environments for our children. The National Quality Framework (NQF) recognises the importance of creating safe environments for every child. From the National Law and Regulations to the National Quality Standard (NQS), creating and maintaining safe and nurturing environments for all children is recognised as quality practice, guiding us as we play our part in protecting children from harm. Creating safe environments within education and care settings is sometimes complex and challenging. Many of us are confident in our ability to create and design learning spaces with children that nurture the development of the individual child and fulfil their curiosity. We strive to ensure children are supervised as they play and relax in a variety of settings, from our homes to school settings. However, it is sometimes harder to build our capacity to respond confidently and to challenge our thinking about how we support the ongoing health, safety and wellbeing of every child. 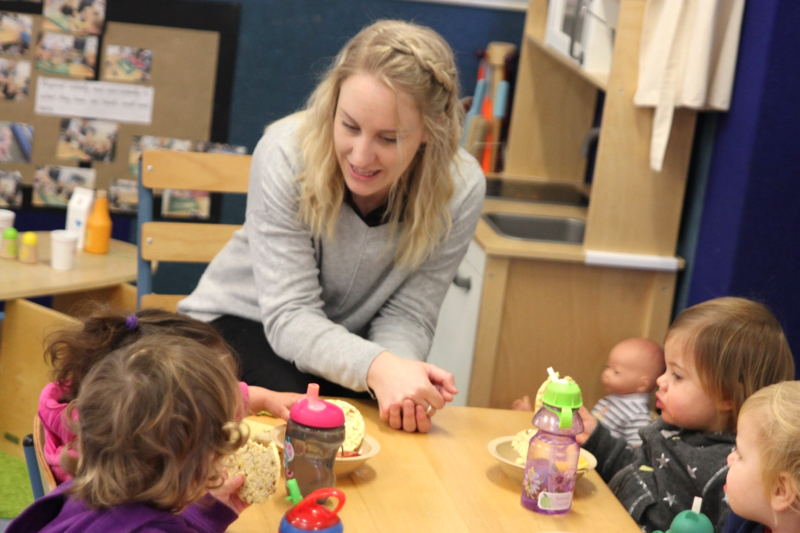 Quality Area 2 – Children’s health and safety, reinforces each child’s right to experience quality education and care in an environment that provides for their ongoing health and safety. Element 2.2.3 requires that management, educators and staff be aware of their roles and responsibilities to identify and respond to every child at risk of abuse or neglect. Under Section 162A of the Education and Care National Law, the approved provider has the responsibility of ensuring that each nominated supervisor and each person in day-to-day charge of the service has successfully completed child protection training, if required in their state or territory. The approved provider also has the responsibility of ensuring that the nominated supervisors and staff members at the service are advised of the existence and application of the current child protection law and that they understand any obligations they may have under that law (Education and Care Services National Regulations, r 84). Across Australia, state and territory legislation prescribes occupations that are mandated to report a child at risk of abuse or neglect. Those who frequently deal with children in the course of their work, such as education and care professionals, are usually mandatory reporters. For more information on the legal provisions and your role as a mandatory reporter, head to: https://aifs.gov.au/cfca/publications/mandatory-reporting-child-abuse-and-neglect. What does mandatory reporting mean? Mandatory reporting is a strategy that acknowledges the prevalence, seriousness and often hidden nature of child abuse and neglect. It enables the detection of cases that otherwise may not come to the attention of agencies. The laws help to create a culture that is more child-centred and build a community that will not tolerate serious abuse and neglect of children. Research has shown that mandated reporters make a substantial contribution to child protection and family welfare. As part of the Child Safe Organisations Project and commissioned by the Commonwealth Department of Social Services, Australia’s National Children’s Commissioner, Megan Mitchell, is leading the development of National Principles for Child Safe Organisations. The National Principles are intended to apply to all organisations, including education and care services across Australia. They are due to be endorsed by the Council of Australian Governments in mid-to late 2018. The National Principles reflect ten Child Safe Standards recommended by the Royal Commission into Institutional Responses to Child Sexual Abuse, with a broader scope that goes beyond sexual abuse to cover other forms of potential harm. The National Principles aim to drive the implementation of a child safe culture across all sectors, providing services to children and young people to ensure the safety and wellbeing of children and young people across Australia. Organisations should be safe and welcoming for all children and young people. The National Principles highlight ways in which organisations should consider the needs of children from diverse backgrounds and circumstances. The principles emphasise the importance of culturally safe environments and practices for Aboriginal and Torres Strait Islander children and young people. The National Principles collectively show that a child safe organisation is one that creates a culture, adopts strategies and takes action to promote child wellbeing and prevent harm to children and young people. This may begin with the development of your service philosophy and policies and procedures, which underpin and lead to, the creation of ongoing quality practices. These practices, informed by critical reflection and meaningful engagement with families and community members, allow educators and staff to proactively identify and respond confidently to issues related to the safety and protection of children attending the service. responds to any concerns, disclosures, allegations or suspicions of harm. – joining in with a local family to support services fundraiser. Encourage your families and staff to attend an event being held in your local community. Make your influence positive; start a conversation today with your colleagues and families about listening to and valuing the voice of children and young people. What might this look like within your service? How do you inform families and community members about the service’s role and responsibility in protecting children? How do new employees become informed about child protective measures that your service has in place? How are the Exceeding NQS themes reflected in your practices for Quality Area 2? Does your philosophy reflect your service’s child safe practices? Is your service a child safe organisation? ACECQA – Reporting requirements about children. Guidance on the different reporting requirements under the National Law and Regulations. NAPCAN – free downloadable resources to share with families, staff and children. Australian Institute of Family Studies website – provides information on Children’s Commissioners and Guardians in each state and territory. 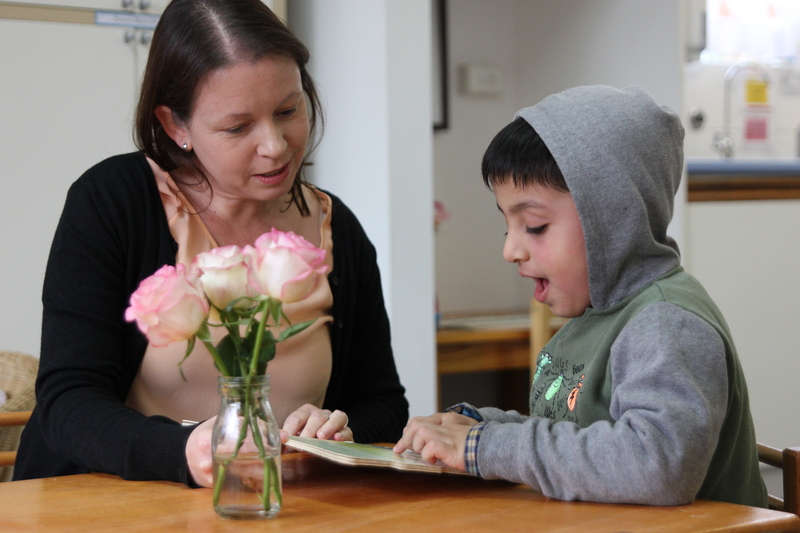 Australian Human Rights Commission – Building Belonging is a comprehensive toolkit of resources for promoting child safety and inclusion. Australian Human Rights Commission – Child Safe Organisations: Tools and resources. Reconciliation Action Plans (RAPs) are formal statements of commitment to reconciliation that provide a framework for actively valuing Aboriginal and Torres Strait Islander histories, cultures and contributions. But how can your service’s RAP also allow you to effectively engage with the National Quality Standard (NQS) and the three Exceeding NQS themes? Reconciliation Australia talks to We Hear You about a number of approaches and strategies. 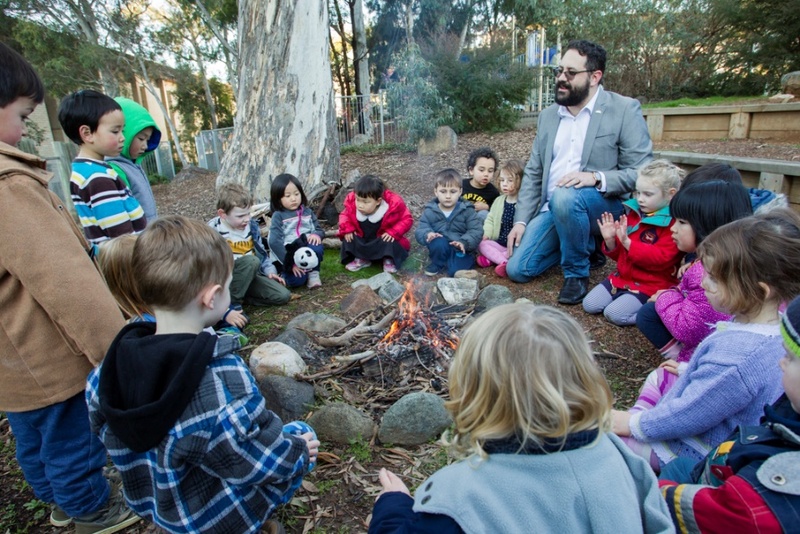 One of the six guiding principles of the National Quality Framework (NQF) is that Australia’s Aboriginal and Torres Strait Islander cultures are valued within and across children’s education and care environments. New guidance on determining the Exceeding National Quality Standard (NQS) rating provides scope for this principle to be holistically embedded and meaningfully informed by critical reflection and family and/or community engagement. Reconciliation Australia’s Narragunnawali: Reconciliation in Schools and Early Learning program was developed precisely to support educational environments to foster a higher level of knowledge and pride in Aboriginal and Torres Strait Islander histories, cultures and contributions. The Narragunnawali online platform is free to access and has a range of features – including an extensive suite of professional learning and curriculum resources – to support the development, implementation and management of Reconciliation Action Plans (RAPs). 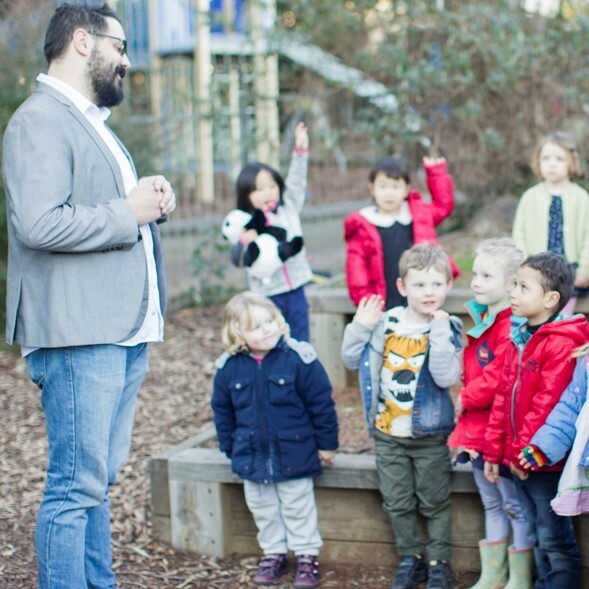 Narragunnawali RAPs provide early learning and outside school hours care services, as well as primary and secondary school communities, with a practical framework for action and for driving positive, whole-scale change. There are 39 RAP Actions that you can choose to commit to, each with accompanying information and resources to guide learning, planning and implementation processes. How your service engages with each of the RAP Actions may also be a way to demonstrate Exceeding NQS practice and the Exceeding NQS themes. Institutional integrity represents one of the five integral and interrelated dimensions of reconciliation in Australia. 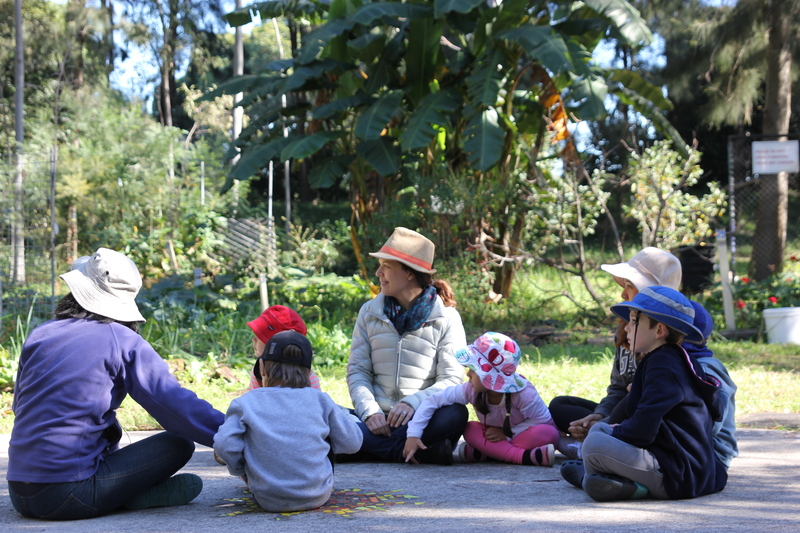 As such, the Narragunnawali RAP framework provides a holistic and whole-scale framework for fostering relationships, respect and opportunities not only in the school classroom but also education and care services and with the community. Enacting institutional integrity by committing to reconciliation initiatives within teaching, learning and curricula, as part of the wider ethos within the service gates as well as across community links beyond the service gates helps ensure reconciliation is everyone’s business and for everyone’s benefit. In so doing, it provides a practical platform for demonstrating everyday, embedded practice. Exploring and engaging with the range of Narragunnawali RAP Actions can support your whole-of-service approach to reconciliation, with each Action contributing to the development of strong relationships, respect and opportunities in and around education and care services, schools and with the community. Critical reflection is a core and consistent component of developing and implementing a Narragunnawali RAP. One of the first steps in commencing or refreshing a Narragunnawali RAP involves responding to an internal Reflection Survey. The Reflection Survey is designed to provide a snapshot of the current state of reconciliation within your individual service and, in turn, guide careful and critical thinking around the next most meaningful steps in your service’s reconciliation journey. Critical learning and reflection at the professional level are important steps toward informing and inspiring good practice with children. For example, developing an awareness of the importance of critical evaluation among educators and staff can ultimately effect curriculum planning, resourcing and practice in non-tokenistic, culturally safe and contextually responsive ways. ‘Relationships’ represent one of the three fundamental pillars of the RAP framework and building relationships with community is one of the 14 minimally required RAP Actions necessary for driving change in a whole-scale sense. As well as meaningfully engaging with your local community, educators can meaningfully engage with a national community of practice, dedicated to driving reconciliation action, by signing up to Narragunnawali, sharing news stories, and exchanging learnings and inspiration through actively exploring features such as the Narragunnawali Awards page, Webinar program and interactive Who has a RAP? map. Are you committed to advancing reconciliation in education, all the while Exceeding the National Quality Standard? Head to the Narragunnawali platform to learn more! Narragunnawali (pronounced narra-gunna-wally) is a word from the language of the Ngunnawal people, Traditional Owners of the land on which Reconciliation Australia’s Canberra office is located, meaning alive, wellbeing, coming together and peace. We are very grateful to the United Ngunnawal Elders Council for giving us permission to use the word Narragunnawali. 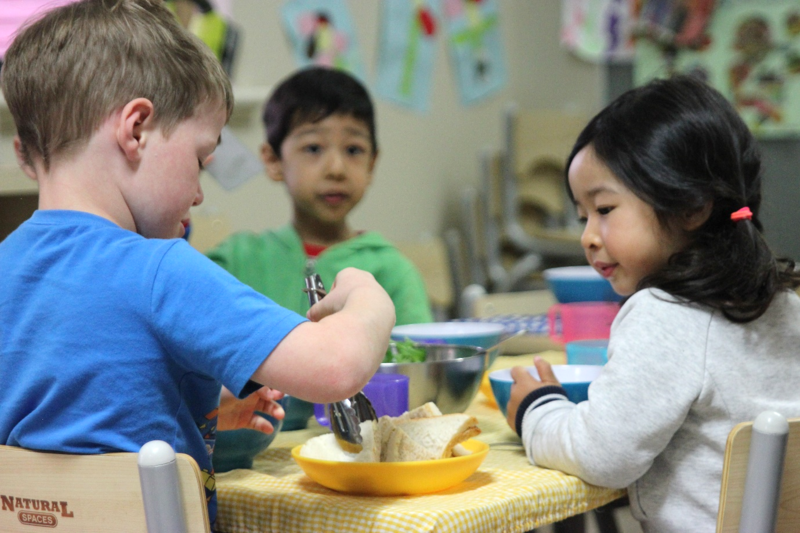 The National Quality Standard (NQS) sets a high benchmark for all education and care services across Australia, encompassing seven quality areas that are important to quality outcomes for children and families. But how can we also think about the NQS and its focus on quality as the standard for a positive organisational culture that values, nurtures and supports educators and staff? 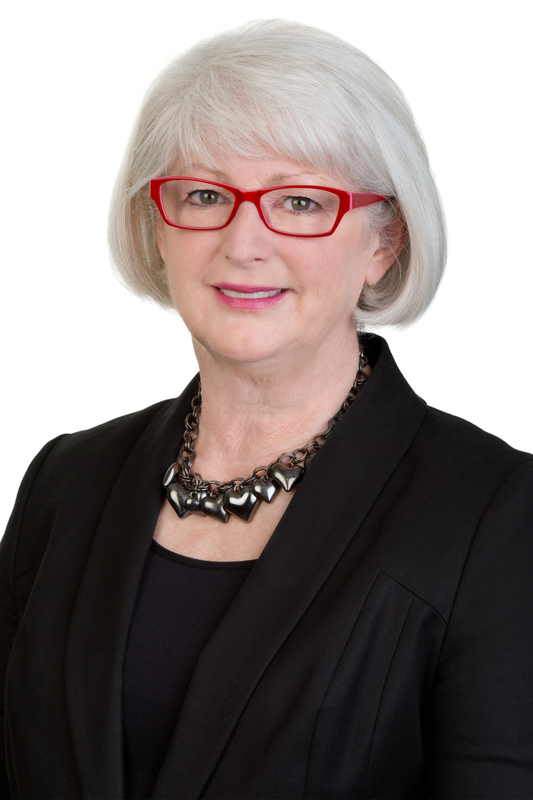 Australian Children’s Education and Care Quality Authority (ACECQA) Chief Executive Officer, Gabrielle Sinclair, debates this question and explores four focus areas that distinguish quality service cultures and support education and care teams to flourish. A few weeks ago I was in Brisbane with teacher educators and higher education researchers from across Australia who are leading education and care research and practice. It was inspiring to hear about the range and depth of their research. During our conversations and discussions, a question was asked about the National Quality Standard (NQS) that really made me think. And yet… Every week, I have the privilege of meeting educational leaders, service directors or management teams who operate high-quality services where educators are supported and valued. These are the services which celebrate educators achieving 10, 15, 20 and more years of service. I also have the opportunity to read applications from services rated Exceeding NQS seeking the Excellent rating. 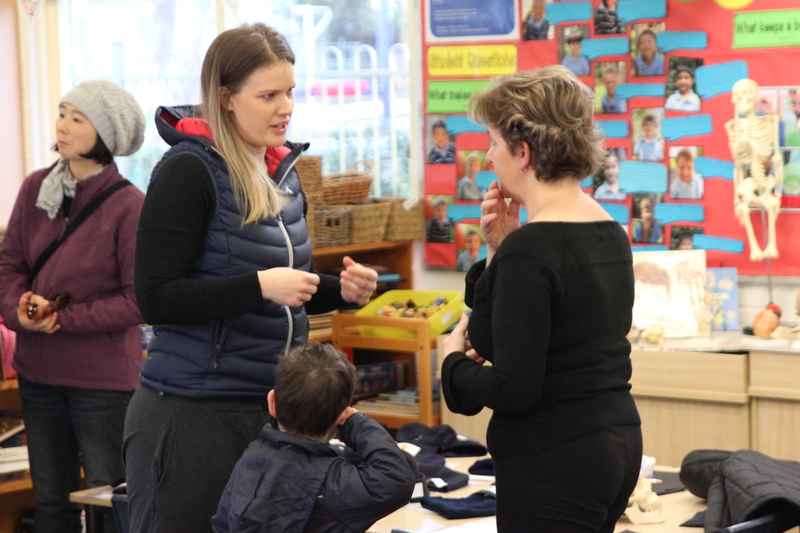 These services recognise and value the importance of children having happy, competent, committed educators and consistent relationships that enable trusted attachments to be made. So what do these services do? The NQS, of course, specifies the importance of a skilled and engaged workforce, collaborative relationships and effective leadership in building and promoting a positive organisational culture and professional learning community. Services that value continuous quality improvement all achieve these aspects, as well as creating positive environments and supporting educators to innovate and be great in different ways. So, while there isn’t one easy checklist, there seems to be a common focus on four areas that distinguish quality services for me. The first is the importance given by services to recruiting, supporting and growing the skills and experience of their educators. This is evident in the way they undertake attraction, induction, mentoring, ongoing professional development, and reward and recognition of team members. And the way in which the team profile of a service is considered in relation to the diversity of its families and community. The second is in a service’s commitment to giving educators appropriate levels of authority, agency, leadership opportunities and decision making powers. The sense of professionalism, role clarity and degree to which educators have discretion seem to be closely associated with an educator’s job satisfaction and commitment to the organisation. The third is workload. This is closely connected to the first and second areas in that stress and workload seem to go hand in hand when an educator feels ill-prepared, under-appreciated, under-resourced, overly directed or unfairly treated in their work ‘community’. The last is the match between the service’s goals and an educator’s values and beliefs. When there is a mismatch between a service’s statement of philosophy, priorities and actions or when an educator feels there is a poor organisational culture, nobody benefits, least of all the children we are educating and nuturing. Recently, Dr Marina Papic spoke to me about Blacktown City Council’s commitment to high quality, evidence-based education and care. Marina encourages teams to reflect on and share best practice within the service and across the sector, to try innovative ideas and, importantly, to care for and support each other as valued colleagues. So, to answer the question, I don’t think the sector needs any more changes to the NQS at this time. 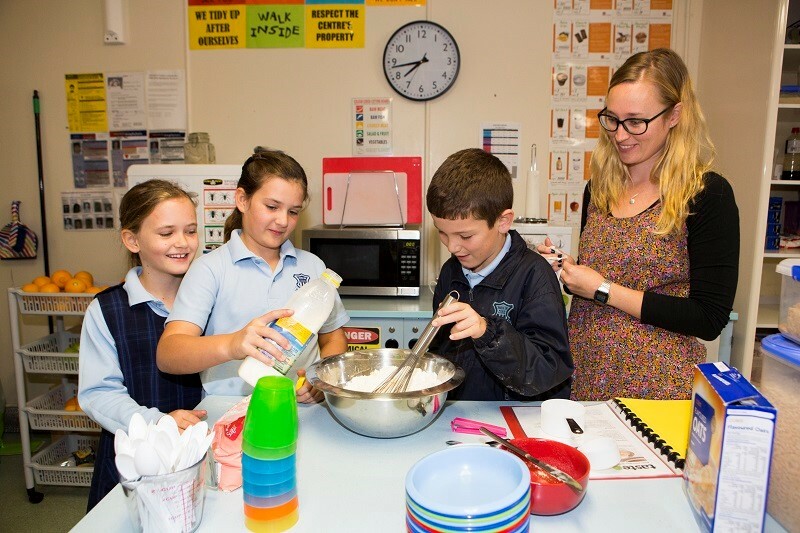 The 2018 NQS and the recent changes to Quality Area 7 – Governance and Leadership clearly show the importance of investing in effective leadership, service management and professional development for creating learning environments where children, families, educators and staff feel they belong and can flourish. High quality services are showing us how they do this now. In the first instalment of this series, I explored the role of critical reflection in supporting and strengthening self-assessment and quality improvement planning processes. In this next part, I want to focus on the way professional collaboration can strengthen and inform both of these processes. The importance of promoting a positive organisational culture and professional learning community built on a spirit of collegiality and trusting, respectful relationships is well recognised in the National Quality Standard (NQS). Likewise, professional collaboration, building shared professional knowledge and active participation in a ‘lively culture of professional inquiry’ are acknowledged in the NQS, the approved learning frameworks and the Early Childhood Australia (ECA) Code of Ethics, as fundamental to supporting continuous quality improvement. While the National Regulations (Regulations 55 and 56) require the approved provider of an education and care service to prepare, review and revise a Quality Improvement Plan (QIP), it is not expected that the provider be solely responsible for all the work, decisions or outcomes. Rather, self-assessment and quality improvement processes should be a shared and collaborative process engaging everyone: the approved provider, nominated supervisor, services’ leaders and management, co-ordinators, educational leaders, educators and other service staff. Your service’s journey of self-assessment and quality improvement should also provide an opportunity for collaboration with and input from children, families and the community (which I will explore further in my next instalment). empower educators by instilling a sense of ownership and shared accountability. You might also consider how your service’s self-assessment and quality improvement processes support your team to articulate professional values, knowledge and practice, and assist in building confidence regarding the changes to the National Quality Framework (NQF) and what these mean for service practice and continuous quality improvement. How are the views and suggestions of all members of your service team used to support self-assessment and the development and review of quality improvement plans? What are some of the challenges to involvement that you have faced? How does your service create and sustain a ‘lively culture of professional inquiry’ that contributes to continuous improvement? Are there regular opportunities for self-assessment and quality improvement discussions? How do you develop a strengths-based approach to self-assessment and quality improvement planning that recognises the diverse skills, capabilities and experiences of all team members and supports a sense of shared responsibility? Are there opportunities for various team members to be ‘QIP champions’ responsible for aspects of quality improvement goals? Are all team members aware of the strengths and quality improvement goals and strategies identified in your service QIP? Is the intent and vision of your quality improvement goals clear and able to be communicated by all team members? Are these discussed at team and/or planning meetings? Following on from these professional conversations, the next instalment in the series will explore the meaningful collaborations and engagement with families and the community, and the way they can shape your quality improvement processes. We know a comprehensive process of critical reflection, self-assessment and evaluation, along with a commitment to continuous quality improvement, is essential in contributing to and enhancing quality outcomes for children. But how often do we take time to reflect on the effectiveness and intent of our self-assessment and quality improvement practices? In a sector that recognises the importance of high quality education and care and is driven by a focus on raising continuous quality improvement, it is appropriate that the changes to the National Law and Regulations* and the introduction of the 2018 National Quality Standard (NQS) merit an opportunity for services to reflect, review, update and enhance their self-assessment and quality improvement planning processes and arrangements. In this series, we explore five ideas to support and strengthen your self-assessment and quality improvement planning processes building on the ideas and the 2018 NQS self-assessment strategies discussed in the February ACECQA Newsletter. This first instalment will provide a starting point, and offer practical support to guide reflective practice, spark professional conversation and identify ‘where to next’ actions. *Changes to the National Law and Regulations came into effect on 1 October 2017 in all states and territories (except Western Australia, which will commence by 1 October 2018). The 2018 NQS and related changes commenced on 1 February 2018 across all states and territories. Rear Admiral and pioneering computing scientist, Grace Murray Hopper, stated that the most dangerous phrase in our language is: ‘We’ve always done it this way.’ A key strength of the NQS is the way it supports education and care services to commit to best practice and engage in ongoing critical reflection and self-assessment to inform professional judgements and drive continuous quality improvement. Educators are encouraged to stop, reflect and rethink the ‘what’ and ‘how’ of their practice and consider ‘why’ they do things in particular ways. This assists in assessing the effectiveness of current practices and analysing what might be changed or improved. It also has the potential to enrich decision making and provide opportunities to explore new ideas and approaches. The 2018 NQS represents an opportunity for education and care services to consider the efficiency and effectiveness of existing self-assessment and quality improvement practices. It is an opportunity to identify the implementation of successful strategies and celebrate the achievement of goals as well as acknowledge what has proved challenging and/or confronting. Reflecting on previous self-assessment and continuous improvement processes can provide the impetus for change and is an important step in paving an informed path towards continuous quality improvement and improved outcomes for children and families. How does your service undertake self-assessment, decide what is being done well and identify areas where quality improvements could be made? Is self-assessment an ongoing, regular and systematic process? If not, how could practice be adapted? How is feedback from children, families, community representatives and critical friends invited and incorporated? How does your service prioritise areas for quality improvement and identify goals that will enhance the quality of children’s and families’ experiences? What processes exist to monitor goals and regularly review progress? What information, resources and guidance currently inform and assist your service’s self-assessment and quality improvement practices? For example, how are the Guide to the National Quality Framework, National Law and Regulations, approved learning frameworks, and the Exceeding NQS guidance for standards being used in your service? Are there opportunities to streamline processes and integrate other service plans (such as the Strategic Inclusion Plan, Reconciliation Action Plan) into your service Quality Improvement Plan? Tip: You may also like to refer to the questions, included in the Guide to the National Quality Framework, to guide reflection for Standard 7.2 – Leadership. The guide to practice for Element 7.2.1 – Continuous Improvement, which describes how the element might be put into practice at the service and how the element may be assessed, may also be a helpful reference to for professional discussions at your service. Refer to the Assessment and rating chapter of the Guide to the National Quality Framework for further guidance on the self-assessment and quality improvement and planning process available on the ACECQA website. In my next instalment, I will explore how professional collaboration and ‘a lively culture of professional inquiry’ can strengthen and inform your self-assessment and quality improvement processes. Additional questions will be provided to further stimulate critical thinking and build on your professional conversations.